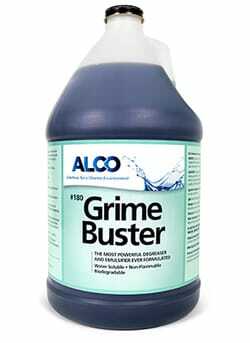 Alco Grime Buster - Alco-Chem, Inc.
Our most powerful degreaser and emulsifier. Excellent for dissolving carbon based grease. Fortified with citrus turpine. This biodegradable, industrial degreaser is manufactured for the worst case grease/oil based scenario in mind.